Colour blocking is bang on trend right now, and you see it everywhere - from catwalks to cushions! In this tutorial you'll learn how to create a bold statement piece for your own interior, by crocheting a cushion cover. If you’ve always wanted to learn how to crochet, follow our series of Crochet Fundamentals. This pattern uses US terms and stitches include chain (ch); slip stitch (sl st); and double crochet (dc). With the beige yarn, make a slip knot on your hook. Crochet a chain that is as wide as your pillow. It's better to make your chain a little shorter, as the fabric will stretch a little. In this example, our cushion is 40cm wide; so I made a chain that's 35cm wide. Now chain 3 extra; we're going to use these as our first double crochet. Work one double crochet in the 4th chain from your hook and each chain, until you reach the end. Work all your double crochets into the back loops of your chain. Work two double crochets into the last stitch and then just keep going on the other side of the chain, in the front loops. When you get to the starting point, work two double crochets into the last stitch, and join to the first chain 3 with a slip stitch. Chain 3, and work one double crochet in each stitch, going around your work. The two double crochets we worked in the corner spaces of the previous round help shape the pillow case into an actual tube shape. Keep going like this until you reach the beginning chain 3 of this row, and join with a slip stitch to the top chain. Work rows of double crochet in the same way, until your piece measures about 15cm. Finish the row. Attach your coral yarn. Chain 3, and work double crochet rows like you did before. Keep going until your piece measures about 35cm. Finish the row. Attach your off-white yarn. Chain 3, and work double crochet rows like you did before. Keep going until your piece measures about 55cm. We're doing this so the cover fits nice and snug over your cushion. Finish the last row and fasten off. Insert your cushion. It should fit nice and tight (but not too tight). Flatten your entire piece, and find the corners (the places where you started your rounds with the chain 3 have shifted, so don't use those as a guide). Insert your hook through the front and back of your cover, through the inside loops only. With the same colour yarn, slip stitch the two sides closed. Sew in any remaining ends. This is what one of the sides of your cushion cover will look like; those are the chain 3 spaces that have shifted during the making of your cover. This is normal, and it means you did a good job! Sit back and admire your new fashion cushion! By using one bold colour in combination with one or two muted colours like white or beige, you are making a colour statement. You can vary this design endlessly, and match it to your own interior! 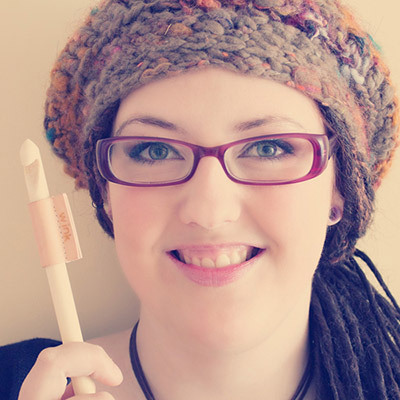 In this tutorial, you have learned how to crochet a tube shape by using double crochet rows. You've learned how to combine colours to give your piece a bold and fashionable pop of colour. Do you love this project? Are you going to make one in your own colour scheme? We'd love to see! Let us know if you have any questions or other comments in the space below.